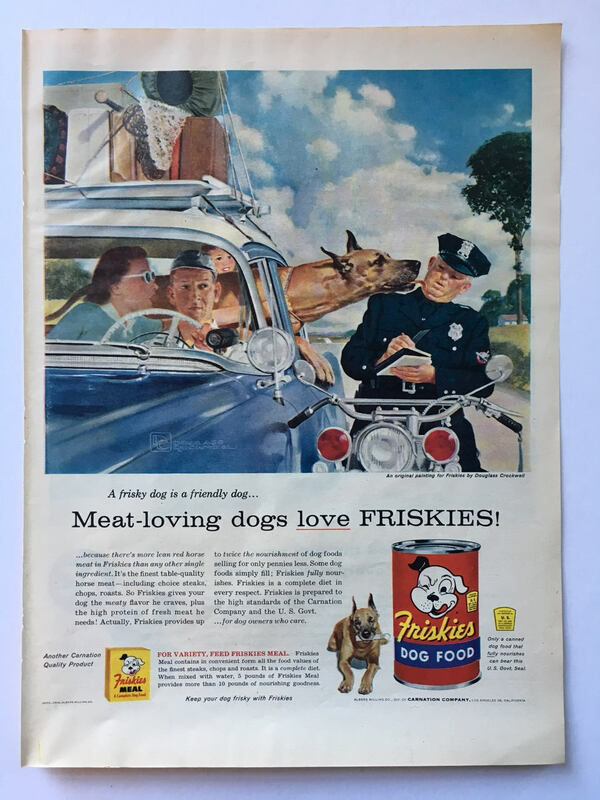 This 1956 Friskies Dog Food magazine is truly a classic! I has fantastic art by Douglass Crockwell, and shows what a great logo Friskies had back in the 1950's. 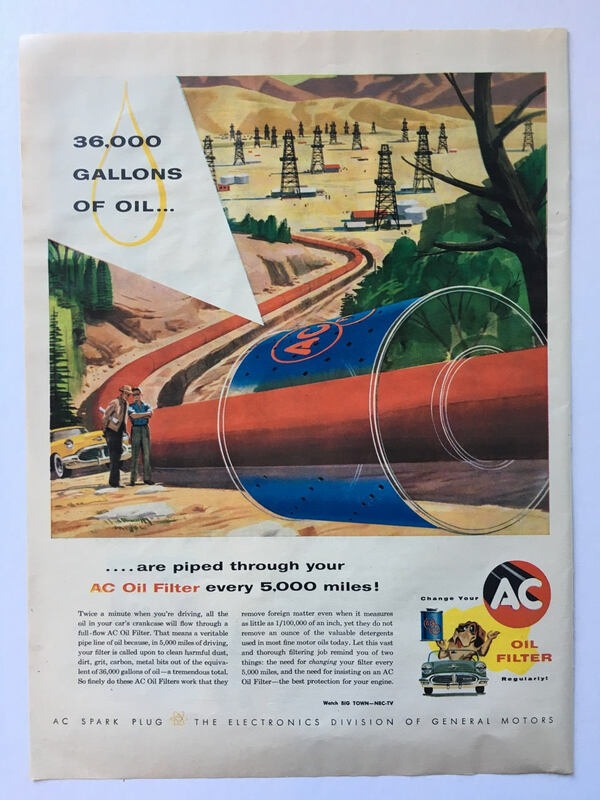 Sometimes it is hard to choose which ad too offer, and with this one you also get a second cool ad from on the backside from AC Oil Filters. Take your pick of which you want to display! The paper is in good shape for it's age and shows the usual slight yellowing and minor dings on the edge. The colors look great in-person!